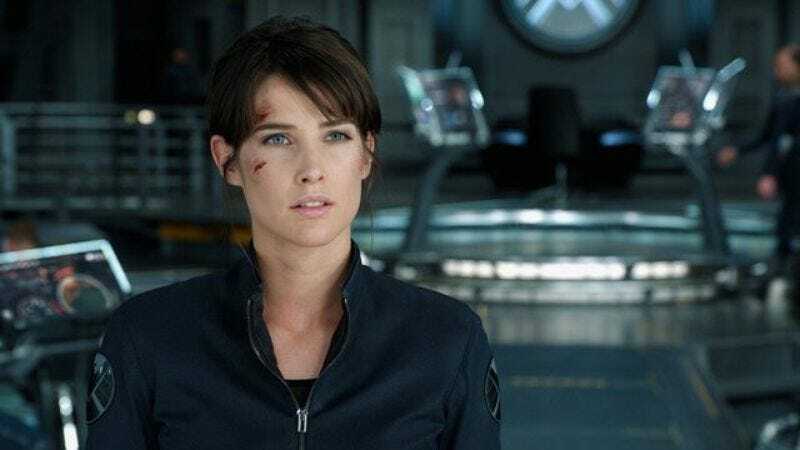 Cobie Smulders returning to Agents Of S.H.I.E.L.D. Cobie Smulders knows her way around a franchise. Just days after the conclusion of the wildly successful (and then wildly disappointing) How I Met Your Mother, TV Line has announced that Smulders is set to return to Agents Of S.H.I.E.L.D. later this month. Smulders’ Agent Maria Hill first made an appearance in The Avengers and can currently be seen onscreen in Captain America: The Winter Soldier. Her guest appearance on the April 29 episode will mark her first return to Agents Of S.H.I.E.L.D. since the pilot. As previously announced, Amy Acker and Patton Oswalt will also pop up in the S.H.I.E.L.D. universe in upcoming episodes as a cellist and a commando, respectively. And Vulture recently confirmed that Samuel L. Jackson is set to return to the show as Nick Fury for the season finale, which airs May 13. Presumably the episode will feature Fury explaining to his children that, while Agent Hill isn’t their mother, he’s loved her all along.